Robust consumer sentiment and a healthy economy informed retailers that they could safely anticipate a busy start to the holiday shopping season, making a well-stocked supply chain indispensable to sales success. The nation's largest e-commerce destination had a banner kickoff. 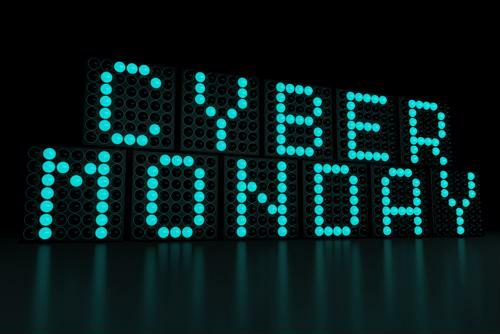 Amazon announced that Cyber Monday was record-breaking for the company, selling more products than it ever has before over a 24-hour period. Worldwide, when combined with Black Friday, at least 18 million toys were purchased online and an additional 13 million fashion products. "Cyber Monday was record-breaking for Amazon." Worldwide Consumer CEO Jeff Wilke said the results speak to people's love for online shopping, appreciating the fact that they can purchase goods quickly at rock bottom prices thanks in part to a reliable supply chain. "Black Friday and Cyber Monday continue to break records on Amazon year over year, which tells us that customers love shopping for deals to kick off the holiday shopping season," Wilke explained. "With curated gift guides, convenient shopping experiences, incredible product selection, and free shipping with no minimum purchase amount, Amazon offers customers tremendous value - sure to deliver smiles all season long." The long Thanksgiving holiday - dubbed the Turkey 5 - is a make-or-break one for the retail industry. It started with Black Friday, described as such because store operators aim to turn a profit as the year concludes, going from the red - deficit - to the black. Retailers stimulate demand on this day by slashing prices. Over time, however, Black Friday has been accompanied by Small Business Saturday and Cyber Monday. Retailers use these days to drive sales through discounts and other incentives. Although mailers and advertisements may denote deals are only while supplies last, stores aim to keep shelves as sufficiently stocked as possible to reward buyers for their patronage. This year, more department stores and small businesses decided to open their doors on Thanksgiving to give consumers a jumpstart on holiday shopping. Their strategy appears to have paid off, as sales by small and medium-sized businesses worldwide surged by more than 20 percent on Black Friday compared to 2017, according to analysis done by Amazon. And for the e-commerce giant in particular over 180 million items were ordered online during the Turkey 5. These impressive figures are in line with what the National Retail Federation expected, forecasting a growth in holiday sales of 4 percent year over year. All told, around 165 million Americans shopped in store or online during the Thanksgiving holiday, 1 million more than the total number the NRF projected along with Prosper Insights & Analytics. They didn't spend quite as much as they did last year, however, averaging around $319.29 over the five days, the NRF said. That's down from $335.47 in 2017. Xennials and Generation Xers outspent everyone, paying roughly $413 on gifts and decorations. NRF President and CEO Matthew Shay said the sales results prove that both retailers and customers lived up to their ends of the bargain. "This year's research clearly shows that the investments made by retailers are paying off in a big way," Shay said. "Over the last couple of days, what I heard in discussions with retail CEOs across all categories and segments was very positive, driven by macro conditions of low unemployment and rising wages combined with the right mix of merchandise at great prices." He added that the strong start bodes well for a stellar finish.